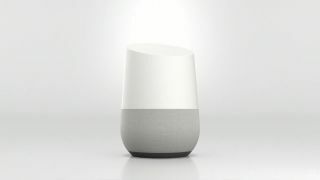 Google is determined to make your home a little smarter with the announcement of Google Home, a Wi-Fi speaker with a built-in voice assistant announced at its Google IO keynote today. This follows weeks of Google Chirp rumors and is a salvo against the Amazon Echo. Like the Echo, Google Home will use the newly unveiled Google Assistant to answer your questions and, eventually, control smart devices all over your home. The first wave of Google Home-compatible devices will be, perhaps unsurprisingly, the Nest line of products. "When I walk into my house, I want to be able to continue to have access to the Google Assistant. But I should be able to interact with it in a hands-free way simply using my voice without having to take out my phone," said Mario Queiroz, vice president of product management at Google. "This is why we are creating Google Home, a device which will be available later this year." The major selling point of the new hardware is that it combines Chromecast software that allows for multi-room audio support, a voice assistant from Android and comes built into a speaker. The unit itself is vaselike, and Google says that the base of the speaker can be customized to match your home decor. Google Home will allow you to access songs, playlists, albums, artists and podcasts from music services just by asking with your voice. Or, according to Queiroz, you can send music from your Android or iOS device through Google Cast to any connected speaker in your home. Google Home lets you control your video content, too. "Want to watch that episode of Jimmy Kimmel or the trending YouTube video on your TV? Just tell Google Home and the content will appear on the biggest brightest screen in your house," Queiroz said. Unfortunately, you're going to have to wait a few months to get your hands on one – the first Google Home units won't be available until later this year.